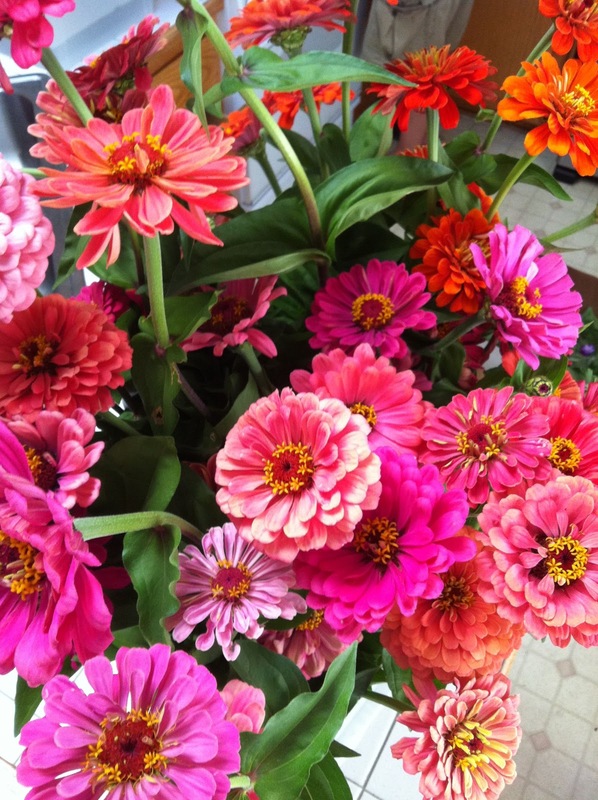 the zinnias are still blooming at lone pine’s u-pick, but they won’t be for much longer. how can you pass on something that so easily coaxes a big toothy grin? the best time to pick is early in the morning or late evening, after it cools off a bit. take a clean bucket filled with warm water with you, sharp clippers, and a bunch of rubber bands if you want armfuls of blooms. once you get them home, let them drink overnight (or at least a few hours) before you start fussing over them too much. p.s. i’ve missed you! i promise to do better and bring updates soon!